PENETAPAN 3 BESAR LOMBA ESSAY “ANDAI AKU JADI GURU BK” TINGKAT SISWA SMA SE DIY-JATENG. 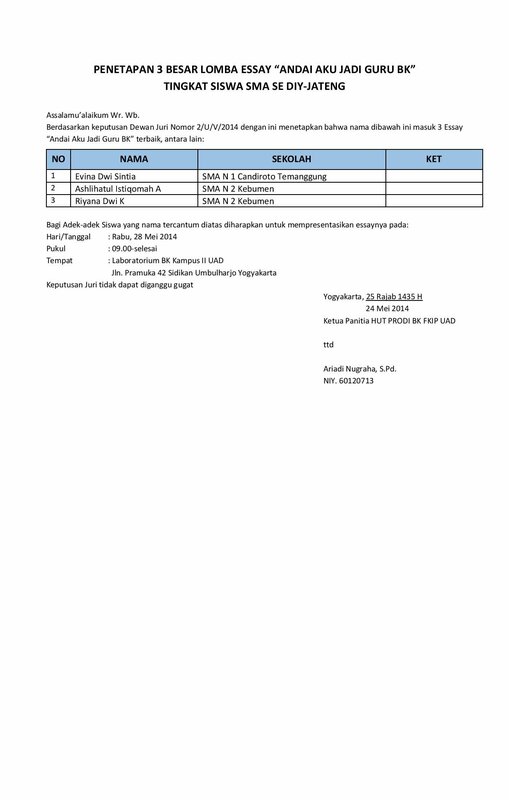 Acara, Berita, Hot News Penetapan 3 besar lomba essay prodi bk FKIP Universitas Ahmad Dahlan 2014. permalink. Copyright © 2015 PROGRAM STUDI BIMBINGAN DAN KONSELING. All Rights Reserved.